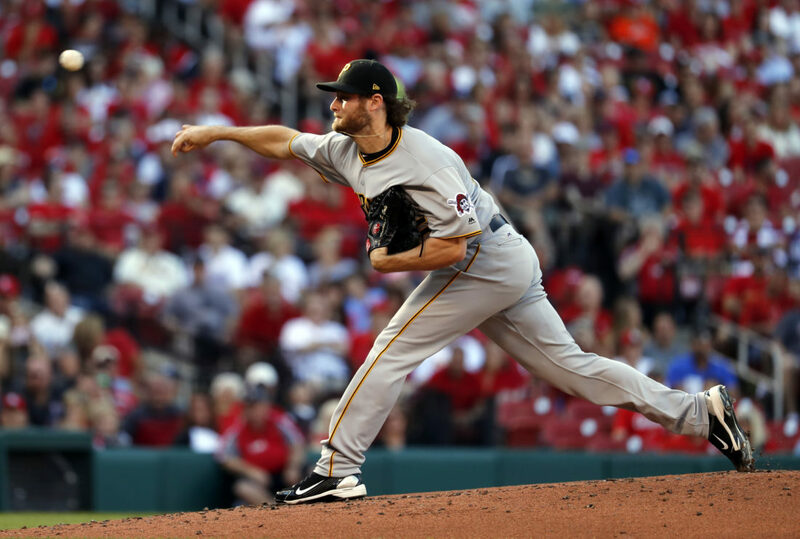 ST. LOUIS (AP) — Jordy Mercer and Josh Harrison homered and starter Gerrit Cole pitched six innings, lifting the Pittsburgh Pirates to a 7-3 victory over the St. Louis Cardinals on Saturday night. Cole (6-6) extended his winning streak to three games, allowing five hits and one run with five strikeouts and two walks. In Cole’s four losing starts from May 22 through June 8, he surrendered 23 runs in 19 1/3 innings. Since then, he has reeled off three solid starts. Before Saturday, he allowed just three hits and one run in seven innings in each of his previous two starts. Pittsburgh has won four of its last six games. Slumping St. Louis has dropped eight of its last 11. The 33-40 start for the Cardinals is their worst since 2007. Lance Lynn (5-5) struggled for the second consecutive start. He gave up seven runs and six hits, including three homers in 5 2/3 innings. In his previous start at Baltimore, Lynn gave up nine hits, seven runs and a season-high four home runs in 4 2/3 innings. In his first season back after Tommy John surgery, Lynn has given up 20 home runs. Before Saturday, Lynn had not allowed a run in his past 12 innings against the Pirates. He fired seven scoreless innings in a 2-1 win against Pittsburgh on April 17 at Busch Stadium. Pittsburgh scored in the first on a two-out RBI single by Josh Bell that scored Harrison. St. Louis quickly tied it at 1-all on Matt Carpenter’s first leadoff homer of the season. It was Carpenter’s 13th leadoff home run of his career. The homer marked a season-high 13 straight games in which the Cardinals have hit a home run. The Pirates regained the lead at 3-1 on a two-run, two-out homer by Mercer. Andrew McCutchen singled before Mercer lined a fastball over the wall just inside the left field foul pole. Pittsburgh has homered in a season-high nine consecutive games. A two-out solo homer by Harrison in the fifth put Pittsburgh up 4-1. 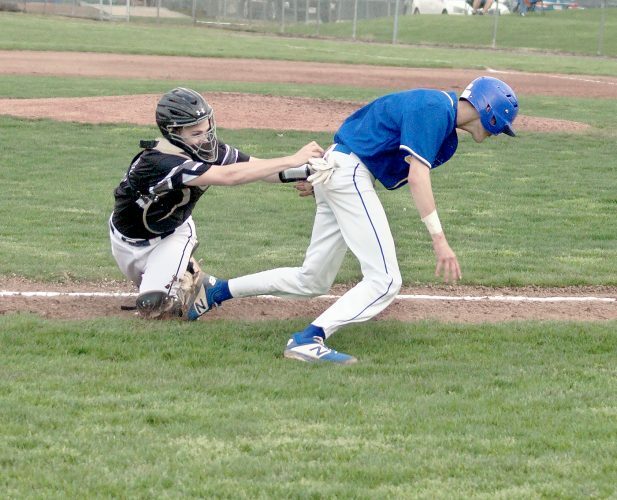 The Pirates sent nine batters to the plate in the sixth and scored three runs on just one hit to chase Lynn. David Freese led off with a walk and went to third on a single by McCutchen before scoring on Mercer’s groundout. After intentionally walking Chris Stewart, Lynn walked Cole. Rookie John Brebbia relieved and promptly hit Adam Frazier and Harrison to give Pittsburgh a 7-1 lead. The Cardinals added two runs in the ninth off reliever Wade LeBlanc. With the victory, Pittsburgh improved to 10-2 in games played on Saturday this season. After getting hit by a pitch in the sixth, Harrison has been hit by a pitch five times in his last six games. He leads all major league players with 16 hit by pitches this season. Pirates: RHP Josh Lindblom (left side discomfort) was activated Saturday from the DL. He remains at Triple-A Indianapolis where he had been rehabbing. Cardinals: C Yadier Molina missed his second consecutive game. He took a foul tip off his knee on Thursday in Philadelphia. Pirates: RHP Chad Kuhl (2-6, 5.46 ERA) has not pitched more than five innings since tossing six April 8 against St. Louis, losing a 2-1 decision. Kuhl won his last outing Tuesday, a 7-3 win over Milwaukee to snap a six-game losing streak. Cardinals: RHP Mike Leake (5-6, 3.03 ERA) has 10 wins against the Pirates, the most he has against any opponent. Leake has not win since May 24 when he pitched eight innings against Los Angeles in a 6-1 win.